The NASCAR Drive for Diversity Pit Crew Development Program understands how athletes are built, and what athletes are capable of when it comes to teamwork, dedication and focus. In most cases, athletes have never thought about a career as a NASCAR pit crew member, nor can they name the five most well-known drivers. That’s why our program focuses on education and training while redirecting the talents that are already present in these individuals. Exposure to a career in NASCAR could be the next step in a professional journey for athletes.  The NASCAR Drive for Diversity Pit Crew Development Program seeks minority and female athletes from all sports. The selection process is based on athletes who are recommended by coaches and athletic directors. We seek student-athletes with a general interest in motorsports, extreme sports, the auto industry, etc., and individuals who possess a strong sense of character and work ethic. invitation to train and be a part of NASCAR Drive for Diversity Pit Crew Development Program, located in Charlotte, NC. For more information on open enrollment opportunities please contact Coach Phil Horton, from Rev Racing, at pghatc4@aol.com.